“Unbowed, unbent, unbroken.” The words of House Martell. Throughout the history of Westeros, Dorne has never been conquered by an outside force. They stood up against the Targaryens and their dragons, which makes them a house to be reckoned with. Small wonder, then, that the castle could be infiltrated so easily. 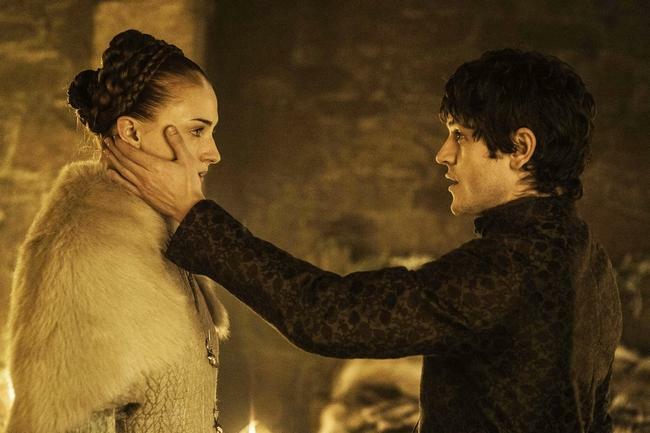 Game of Thrones did the impossible: it failed it’s Dornish storyline. After Oberyn, Dorne’s potential held so much promise. Instead, the writers have opted for something so singular and one-dimensional that Dorne comes across as an exotic destination and nothing more. Jaime and Bronn find their way to the water gardens with ease. 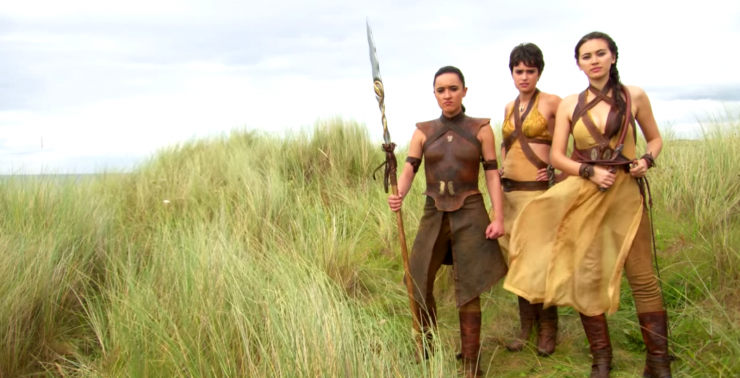 So, too, do the Sand Snakes, while all of Dorne and Doran’s bodyguards slept peacefully, I presume. What followed was perhaps the show’s most poorly choreographed fight scene. The laughable costumes were pretty much the cherry on top. Jaime, maybe think about taking off the sash next time? It all ends so quickly that you forget that just a few episodes ago the show was building up to this. Disappointment doesn’t even begin to describe it. Let’s take the time to analyze Ellaria’s grand plan. She intended to mutilate Myrcella as a message to Cersei and start a war between their houses. Cersei, though, had nothing to do with Oberyn’s death. It was the Mountain who was directly responsible for Oberyn’s grotesque fate. The Mountain himself follows Tywin, who is of course dead, so what is Ellaria getting at? The collapse of House Lannister? Get in line. Looking back on Oberyn’s many jibes at Tywin, he made it abundantly clear that Dorne would never stoop so low as to harm children. You’d think that Ellaria of all people would take those words especially to heart. 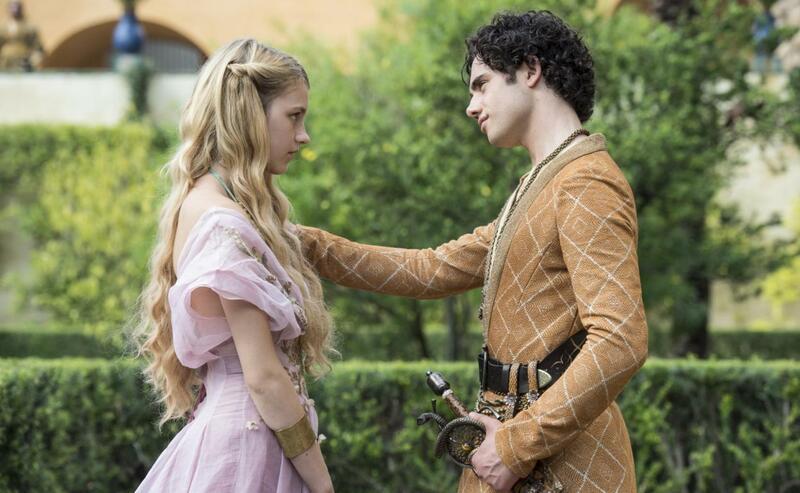 So what does that say about her if she’s willing to put Myrcella in harm’s way? Oh Ellaria. Oberyn would have been ashamed. In more exciting places in the world, Arya is learning that she may indeed be fulfilling her destiny. Her and Jaqen play the game of faces, where she is to lie about her true identity, but to wear the lie as if it were true. Within a few turns, she fails and doesn’t ever want to play again. But, as Jaqen points out, she’s been playing her whole life. She’s had to assume many identities to get to where she is now. Clearly, she’s not ready to become no one. But becoming someone else? I’d say that’s well within her reach. Elsewhere, Jorah and Tyrion are lost in more ways than one. Jorah learns the news of his father, and the terrible fate he succumbed to. It’s a solemn moment, one that actor Iain Glen plays with a quiet yet compelling restraint. His performance thus far has always been a quiet one, but it’s moments like these where the silence says more than words could ever accomplish. As usual, Tyrion finds himself in a sticky situation and uses his words to get them out of it. At first glance, Jorah and Tyrion don’t seem like most captivating duo. But consider the times that each of them had to step in to save the day. They may not admit it, but they need each other. Back in King’s Landing, plots continue to unravel. Cersei single-handedly cuts the Tyrells in half, reprimanding Ser Loras, followed by Margaery when she overplays her position. Whereas Tyrion’s lie bought him and Jorah safe passage, Loras and Margaery’s lie earn them a place in the dungeons. It’s nothing personal, Margaery. Lying isn’t for everybody. Littlefinger, the master manipulator, informs Cersei that the Boltons are planning to wed Sansa and forge an alliance with the North. Unbeknownst to Cersei, he’s playing her. She all but agrees to name him Warden of the North so long as he takes the North in the name of House Lannister. Once again, Petyr proves to be the most efficient player in the game. It’s amazing what he’s able to accomplish with so few words, words that people clearly want to hear. I’m curious if we’ll ever see the day where things don’t go his way. I can only wonder, then, if Littlefinger saw this coming. Back at Winterfell, Sansa gets married for the second time, though it’s no cause for celebration. As promised, Theon gives Sansa away to Ramsay, and, in a lonely tower of the castle, the three of them reconvene. If you didn’t think Ramsay could get any worse, think again. “You’ve known Sansa since she was a girl, now watch her become a woman.” A man of his word, Ramsay forces Reek to watch, while all we can do is listen. Nothing about this is narratively justified. Yes, this was expected as events unfolded, but this also undermines Sansa’s transformation last season. In the season 4 finale, she emerged free from the torment of Joffrey. It seemed she was now in complete control of her life. And here she is, being controlled once more. This kind of psychological torment is needlessly excessive, even for Game of Thrones’ standards. We know what Ramsay is capable of, so why not build that tension? Just last episode, when we thought he was going to give Reek another round of torture, he instead chose to forgive him. That alone was interesting, and could’ve paved the way for new narrative territory to explore Ramsay’s character. Instead, he falls back into the same cycle. Was that the point of this episode? To illustrate the irony of House Martell’s words and capitalize on its impact across characters? What better way to capitalize on this than to leave Sansa bowed, bent, and broken. Game of Thrones is no stranger controversy, but this is undoubtedly their most controversial episode. If that was the point then I guess they succeeded.